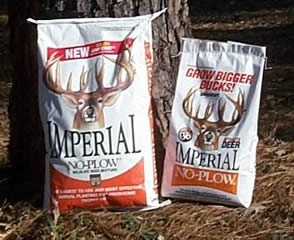 If you have out-of-the-way or hard-to-get-to locations you have always wanted to plant; or you simply don't have access to a tractor or cultivating equipment, the new IMPERIAL 'NO-PLOW' WILDLIFE SEED BLEND is the perfect product for you. 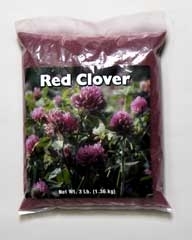 There is a clover product that has been developed specifically for Whitetail deer and wild turkeys. 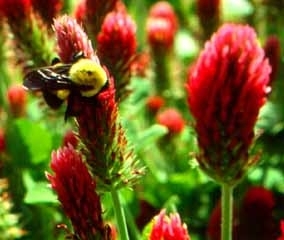 Imperial Whitetail Clover is a revolutionary breakthrough in plantings for wildlife. 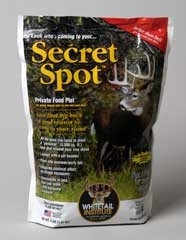 Imperial Secret Spot contains all the seed you need to plant a 3,000 square foot food plot. 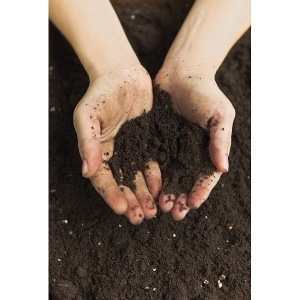 Secret Spot requires no tillage equipment to plant. 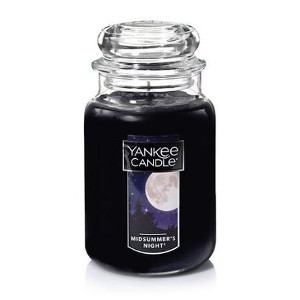 Designed to attract deer with its irresistible scent & flavorings. 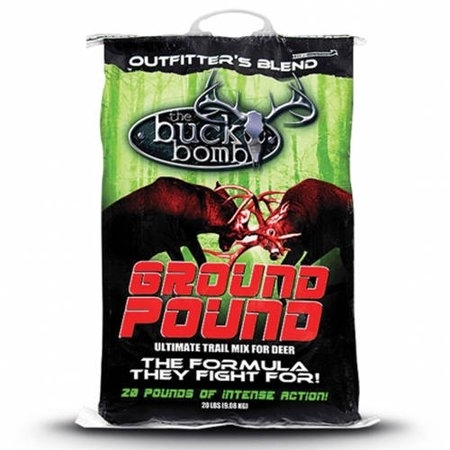 Designed in a 20 lb block, it attracts big bucks and helps keep deer coming back. 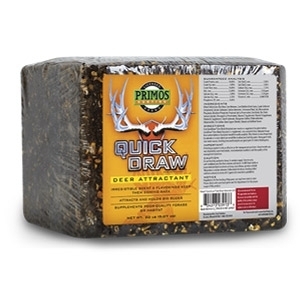 It can also be used to supplement poor quality forage or habitat.Studies on the Primos® Quick Draw® Deer Block attractant show strong consumption, driven by a proprietary flavoring agent not found in any other deer block. 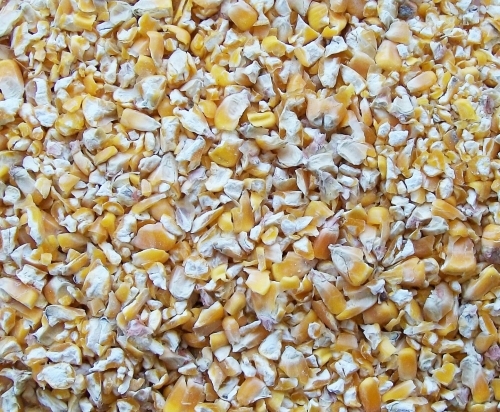 Cracked corn is a favorite feed for chickens. 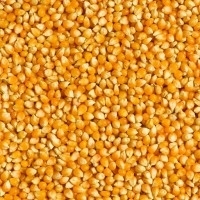 Corn is easily digested by chickens, is low in fibre and high in phosphorus. Corn is ideal for mixing with other cereal feeds, such as barley or wheat. 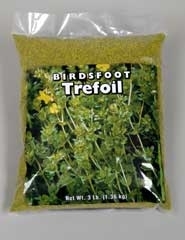 It is ideal for feeding alongside chicken feed pellets. Cracked corn is also a good wildlife feed. 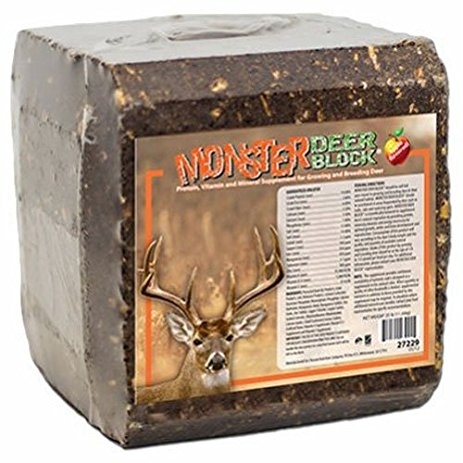 Monster deer block, a self fed protein, vitamin & mineral supplement for feeding deer and wildlife. If you want the rack, get the Rock! 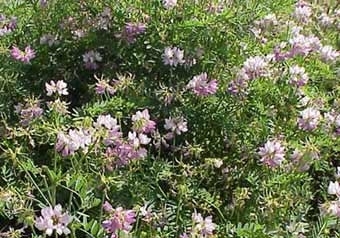 Trophy Rock is the most powerful mineral supplement available. 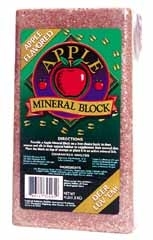 Use this mineral salt rock to observe, hunt, and harvest quality big game and wildlife. 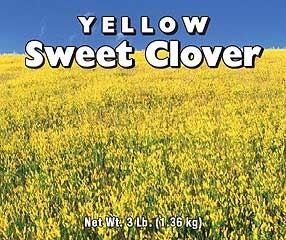 Its all-natural, effective, beneficial, and best of all, its guaranteed. 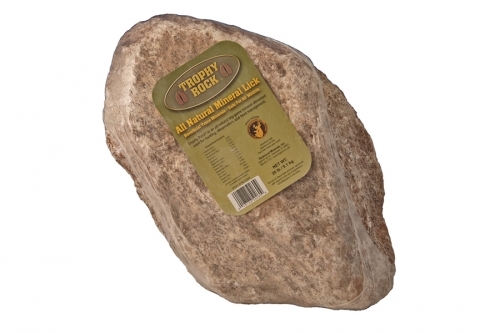 Trophy Rock™ contains over 50 essential minerals that provide balance to an animals diet, while improving general health, particularly body mass and antler size in deer. Proven to be effective year after year, this is a must-have for all serious outdoor enthusiasts. 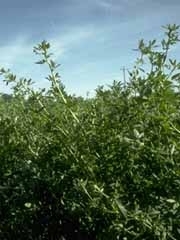 The toasted almond aroma of buck grub not only pulls deer to a desired area, but it holds them there. 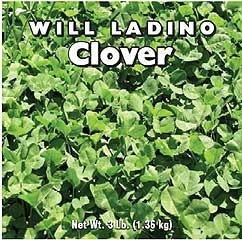 Incredibly palatable and offers optimal levels of fat, energy and a source of safe fat. Deer love the taste. 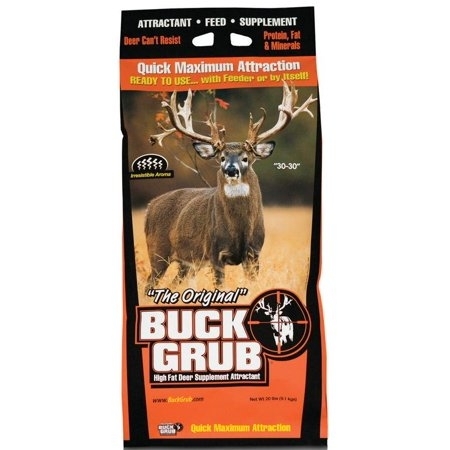 Promotes herd health and accelerates antler development in bucks of all ages. 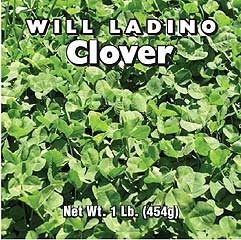 Ready to use with feeder or by itself. 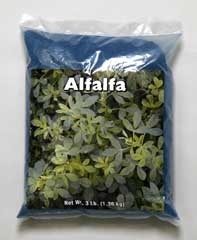 Ultra-concentrated attractant that combines real sugar beets and roasted soybeans. 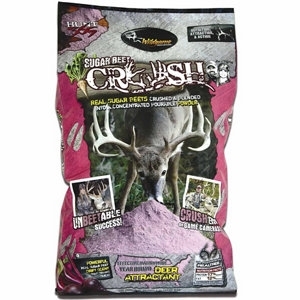 The Sugar Beet CRUSH comes with all kinds of attraction power to draw deer to your property all year long. 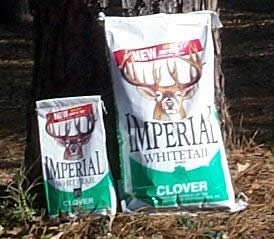 The powdered attractant comes chock-full of protein and fat to build strong, healthy deer. 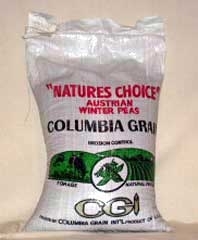 Real sugar beets crushed and blended into one of deer’s favorite treats that can be difficult to find. Releases up to 600% more scent molecules than ordinary attractants Airborne Technology™ creates long-range scent vapor trail. 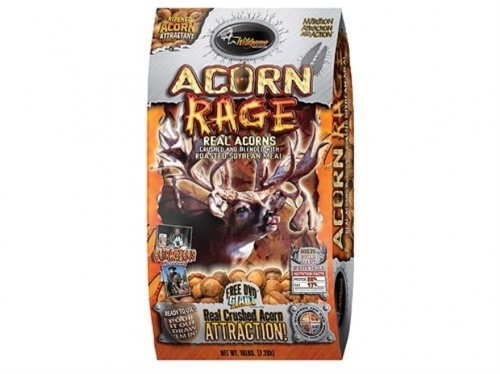 Wildgame Innovations Acorn Rage is made with real acorns, believed by many to be the best natural deer attractant available. Acorn Rage now allows for the use of real acorns all year long. 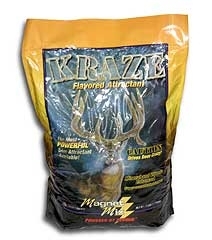 The special blend of crushed acorns and soybean meal not only drives deer crazy, but it also provides the nutrition they need to support overall health and antler growth. Acorn Rage is ready to use and no mixing is required.